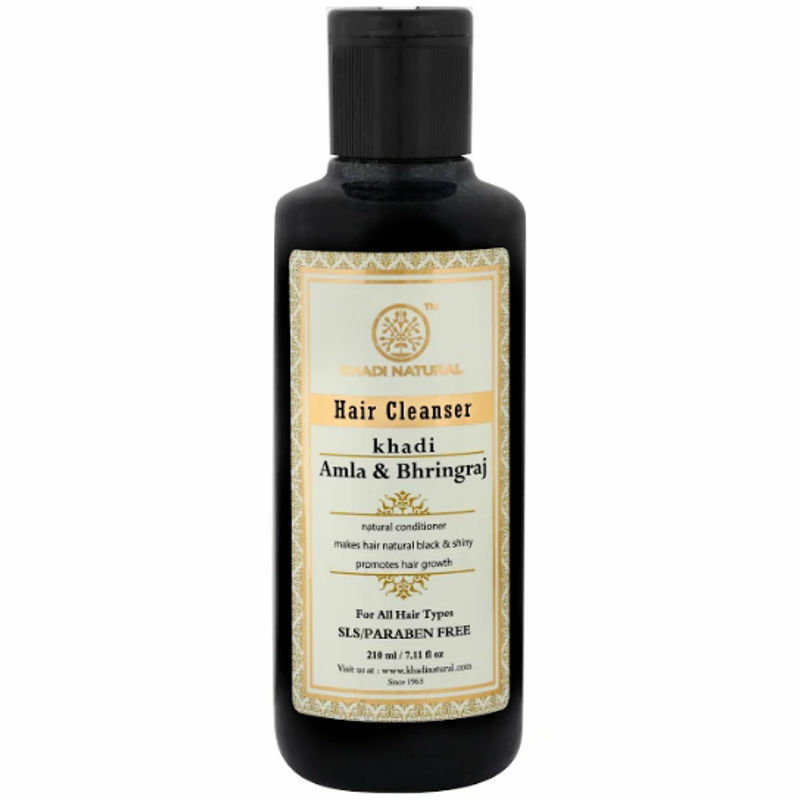 Stop hair fall the natural way with Khadi Herbal Amla & Bhringraj Shampoo. It is naturally formulated with the perfect blend of amla, almond oil, reetha, bhringraj, harathki, reetha and neem. These ingredients together in Khadi Herbal Amla & Bhringraj Shampoo promote hair growth. It nourishes the scalp and roots, which controls hair fall. It is enriched with reetha which is known to promote lustrous hair. Khadi Herbal Amla & Bhringraj Shampoo keeps the hydrated and moisturised. It not only promotes hair growth but the new hair is much stronger and healthier.